In the year of the NAG Record, 2012 surprisingly didn’t see a single one go down in the 10 & under girls’ age group, making it the only of USA Swimming’s 10 recognized age groups that didn’t see a record in 2012. Further, there was no on Ella Eastin, Liz Pelton type of swimmer who was at the top of the age group in many events. This left the door open for some subjectivity, and with many swimmers coming very close to records, it was a fun pick to make. The honor this year goes to Regan Smith out of Minnesota. She’s ranked in the top ten in the country in 2012 in 7 of the 12 yards events, including a nation-leading 1:02.47 in the 100 fly. This fall, she’s really shown a new gear in the backstroke races as well, having already (in November) been a best time of 1:02.5 in the 100 back (2nd in the country). 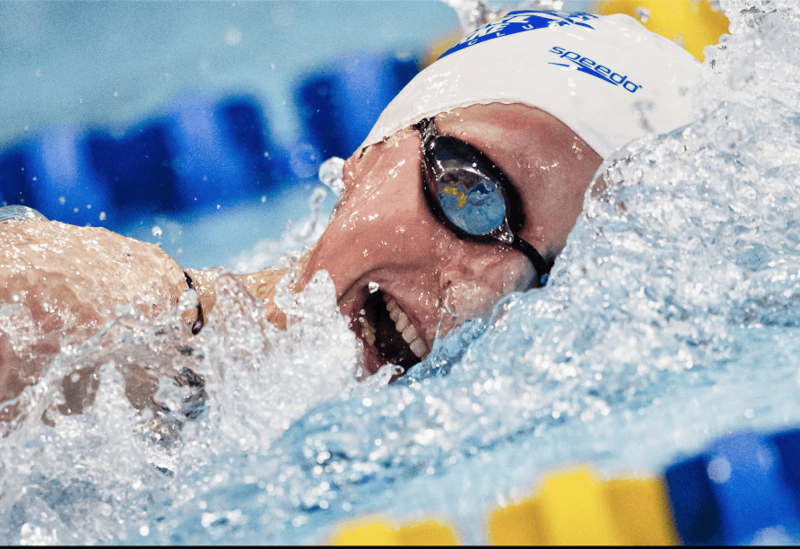 Her versatility is exactly what you want to see from a swimmer at that age, having not been pigeon-holed too early into a single event or two. At the top of the list of honorable mentions is the Santa Clara Swim Club’s Nicole Oliva, who came within two-tenths of Eastin’s 100 back NAG Record when she swam a 1:01.87 in December. She ages up soon, and so likely won’t get another shot at the record, unfortunately. Audrey Lukawski is also deserving of a nod as the country’s best 10& under breaststroker of the last year, just dipping under 1:10 (1:09.96) before her 11th birthday. She spent the summer showing some really improved versatility, and this fall is already blowing-away her best times in almost every event not named breaststroke. 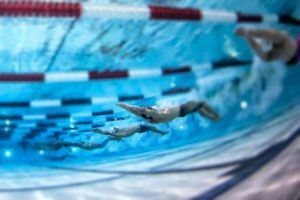 All of the National Age Group Records in the 11-12 girls’ age group were set in long course, which will surely delight the swimming purists. The swimmer who really stood out, heads-and-tails above her age group, was NCAP’s Cassidy Bayer who trains at the Alexandria site under Jeff King and Paul Makin. 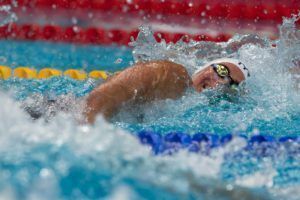 She broke or tied all three long course butterfly records, including the 50 (tied – 28.23) and 100 (1:01.75) where she hit marks previously held by the great Dana Vollmer. 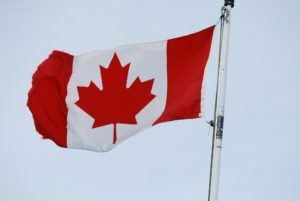 Most recently, Vollmer is known as the Olympic Champion and World Record holder in the 100 butterfly. When Vollmer was in this age group, however, she actually qualified for the 2000 Olympic Trials and was the youngest competitor there, and was a year out from making her first National Team for the 2001 Goodwill Games. Bayer broke records belonging to one of the best. In the 200 fly, which might even be her best event, Bayer’s record-breaking was even more impressive. Her 2:15.02 at the end of the summer completed the destruction of a NAG Record by more than 4 seconds. A gap of that size is unbelievable (even though that’s an event that wasn’t really widely recognized in this age group until the year 2000). A big, big honorable mention goes to Isabella Rongione thanks to two National Age Group Records in the longest events: the 800 and 1500 freestyles. She broke the records of another swimmer we’ll honor later in these awards, and broke them big. Rongione’s 16:48.12 in the 1500 took over 7 seconds from Becca Mann’s old record. And if you’re looking for a name of the future, look no further than the Aquazots’ Eva Merrell. She led the age group in three of the four sprints freestyles in 2012 (all except the 50 yard free), including a best of 52.56 in the 100 yard free that was done in February before her 12th birthday. She’s a front-runner to take the big award in this group in 2013. There were quite a few record breakers in the 13-14 age group in 2012, and some who didn’t break records but were almost as impressive. At the top of the pile, though, was another Randy Reese prodigy, the incomparably-tough 14-year old Becca Mann. Mann cracked a total of four NAG Records in 2012, in the 1650 free in yards with a 15:54 that would have scored at NCAA’s, and then three in long course (800 free, 1500 free, and 400 IM). The records aren’t even the half-of-it though. 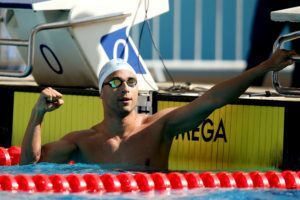 It’s impressive enough when a swimmer of this age even qualifies for the Olympic Trials, but Mann made a final. Heck, she made two finals. We haven’t seen a 14-year old make two finals of an Olympic Trials since 1996, when the greats Amanda Beard and Beth Botsford did it, and they didn’t even have to fight through a semifinal to get there. It wasn’t just that performances; Mann was like the Katinka Hosszu of American swimming: she showed up everywhere and swam grueling schedules. Only she’s just 14. She won 4 medals at Jr. Pan Pacs, 6 at the World Cup, a U.S. Open title in the 1500, and was top-8 at the World Championships. She was one of only 6 swimmers in the country to make both the pool and open water National Teams. She was the only of those 6 who is only 14. The runner-up award goes to Allie Szekely, who smashed Katie Hoff’s NAG Record in the 200 breaststroke with a 2:10.22 earlier winter at the Tom Dolan Invitational. Szekely is amazing for her own set of reasons. She probably gets more action out of her hips than any breaststroker in history. Further, she is impressively versatile (she led the country in several other events, including both 200 IM’s), and she doesn’t even train full-time like you see most great swimmers start to do at this age; Szekely runs cross country in the fall and trains mostly to focus on technique. Honorable mentions go to SwimMAC’s Kathleen Baker, a NAG Record breaker in the 100 back (52.87); as well as to Phoenix Swim Club’s Keaton Blovad, who was the youngest Olympic Trials qualifier and finished her year with an amazing 22.75 in the 50 free and 53.61 in the 100 back at Winter Juniors. Who else could this go to? At 15, she was an Olympic gold medalist, an American Record holder, and had the United States on the edge of their seats awaiting her every Olympic swim. Forget age group, she was a candidate for American Swimmer of the Year. On the age group level, though, the total record count was 6, including as a part of the 400 medley and 800 free relays at Tom Dolan: two records still awaiting official recognition by USA Swimming. Ledecky didn’t hit any bumps in transitioning between Yuri Sugiyama, who led her to the Olympics, and Bruce Gemmell, who took over shortly after. Another swimmer to be strongly considered as the best of this age group is Ledecky’s fellow NCAP swimmer (though at a different site) Janet Hu. Hu has been good all year long, but really came on strong at Winter Nationals late in the season. There, she broke a pair of NAG Records that nobody really had an eye out for. That was a 22.13 in the 50 free and a 52.40 in the 100 fly. She was also on those two record-breaking relays along with her teammate Ledecky. There’s a ton of talent in this loaded age group (including, for the first part of this year, Missy Franklin, though we’ll count her as a 17-18 for the purposes of these awards). The third swimmer who really stood out, however, is First Colony’s Simone Manuel. She might be the next big thing in American sprinting that nobody is talking about, and in a women’s sprint group that desperately needs her. Her 25.45 in the 50 free is 3rd all-time behind two swimmers you may have heard of: Franklin and Lian Neal; her 100 time of 54.60 is behind only Franklin all-time. Don’t be caught off-guard if she ends up on the American team in Barcelona this summer. 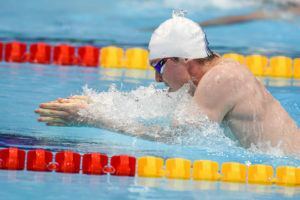 Despite being on the younger end of the age group, Missy Franklin broke an impressive six 17-18 National Age Group Records in 2012. That’s really not a shock to anybody, though, given the four gold medals (and one bronze) that she won at the London Olympics. It’s still strange to see a swimmer so young rank as the best in the world in so many different races. We’ve seen swimmers of this age be among the best in a limited range, but few, if any, have been as much of a focal point of an American tam competitively as Franklin has become. Bigger things are bound to come in 2013 for the future Cal Bear and her coach Todd Schmitz before Missy departs for Berkeley. She’s got a big opportunity to rewrite the National High School Record books, as well as prepare for the 2013 World Championships in Barcelona. An honorable mention goes to Olivia Smoliga, holder of the 100 back National High School Record that Missy will be trying to break in 2013. At the Illinois High School State Championship meet, she absolutely shredded the competition and became a bit of a microcosmic superstar in her home state. Her light only grew when she went to Short Course Worlds and took a world’s title in the same event. She also became the first swimmer to go sub-22 in high school competition, a record that can never be taken away from her. Missy wasn’t the only swimmer in this age group to make an Olympic Team, either. Lia Neal from Asphalt Green not only swam on the 400 free relay, but she swam well enough in prelims to earn her way onto the finals group of the 400 free relay, earning a bronze medal. Rachel Bootsma was another swimmer in this deep, talented age group who made the Olympic Team and via a prelims swim on the 400 medley relay also earned an Olympic gold medal. Thank you for all of your time on this Branden, there is one item that I kind of disagree with. That is naming a 10 and under swimmer of the year. After coaching for the past 16 years, one thing I have found is that the amazing 10 and under swimmers don’t always stay amazing thru no fault of their own. I have seen parent after parent think their kid is the next swimming hero but when their kids bodies change and other kids hit puberty, swimming can become much more difficult for these kids to deal with. Sam I Am, While I agree that this is true, I am of the opinion that this doesn’t mean we can’t recognize the accomplishments of 10 & unders; though I know many share your perspective. 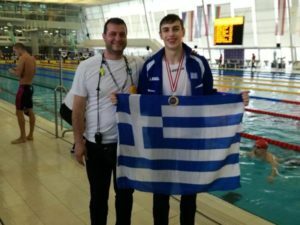 a 3rd 17-18 year old who is also a gold medalist…. Not sure that Keaton Blovad (13-14girls) was the youngest qualifier for Olympic Trials. Megan Byrnes of NCAP swam at trials, and at winter Nationals she placed 8th (1650 free) and 15th (500 free).